Stay sweet with this pink gold ring. 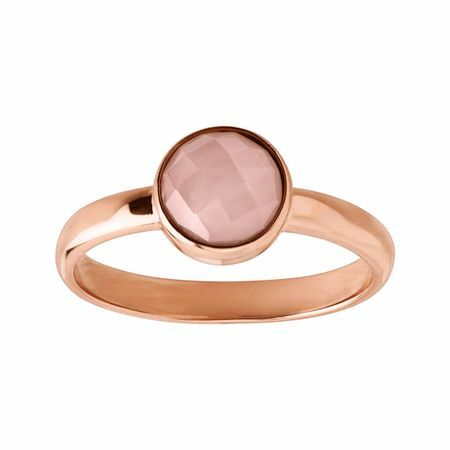 A natural rose quartz paired with 14K rose gold-plated sterling silver is all you need for the perfect pop of pink. Ring face measures 1/4 inches in width.